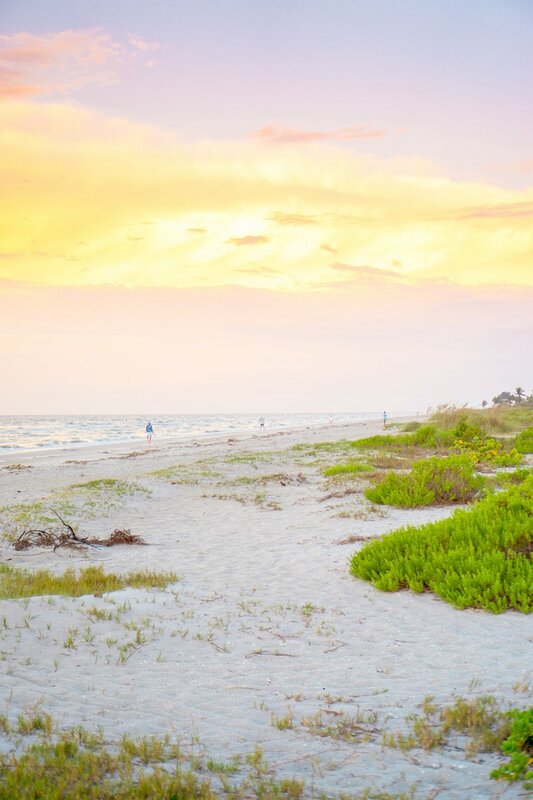 Home » Visiting Sanibel Island Florida – Why to Pick Sanibel for a Beach Getaway! Visiting Sanibel Island Florida – Why to Pick Sanibel for a Beach Getaway! Visiting Sanibel Island Florida – Why to Pick Sanibel for a Beach Getaway! 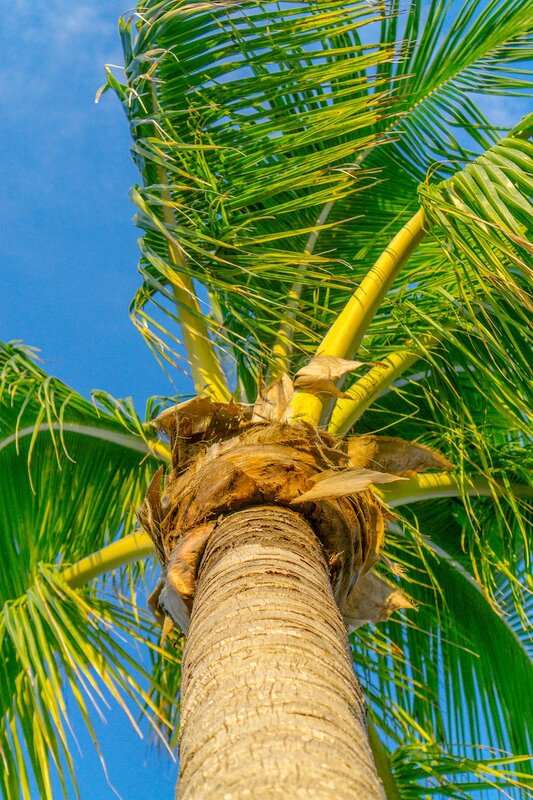 Sanibel Island Florida is a top choice for beachgoers looking for a fun, delicious, and relaxing beach vacation – use these tips for visiting Sanibel Island Florida to plan your own perfect getaway! 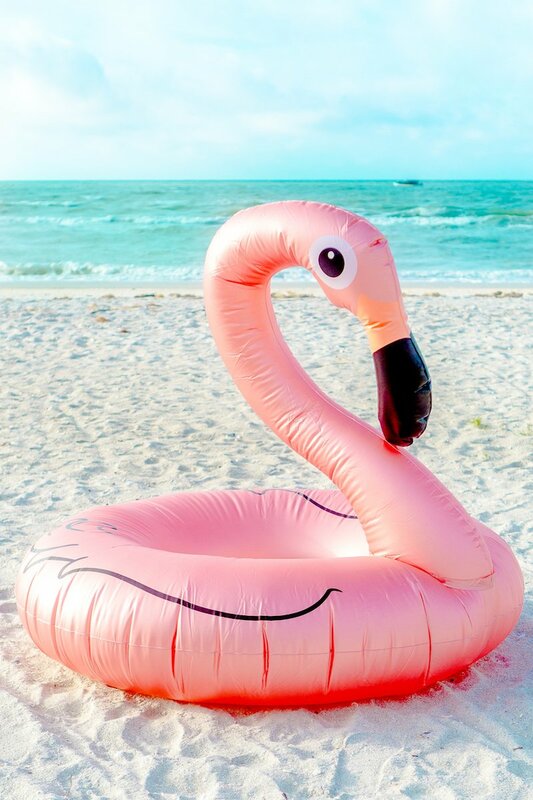 This post is sponsored by the Beaches of Fort Myers & Sanibel and the Lee County Visitor and Convention Bureau. I was recently invited to visit Fort Myers and Sanibel for a couple of days of delicious food, gorgeous white sand beaches, and fun in the Florida sun! Where to stay, what to do, where to eat – everything you need for an epic beach vacation to Sanibel Island Florida! 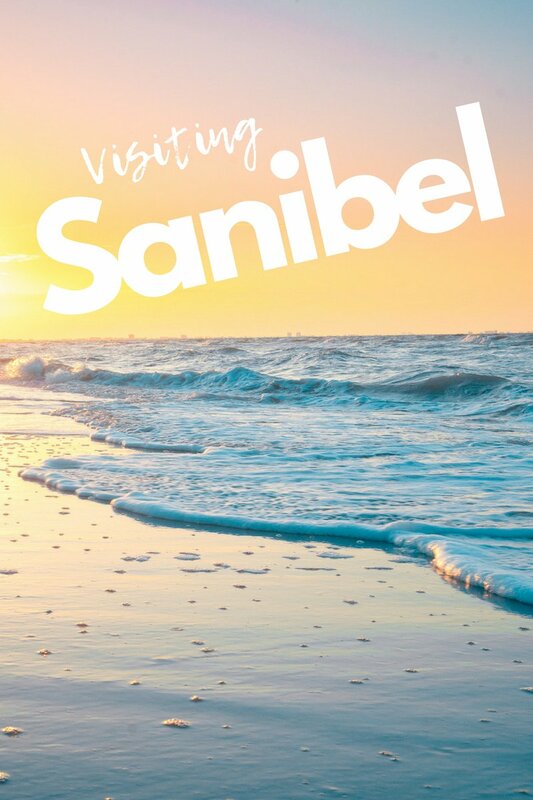 Sanibel is the perfect vacation spot – for foodies, families, couples, or a group of friends – there are tons of lively spots to soak up the sun and party all day and night long, gentile turquoise waves, tons of seashells, and gorgeous white sandy beaches just waiting to be explored! 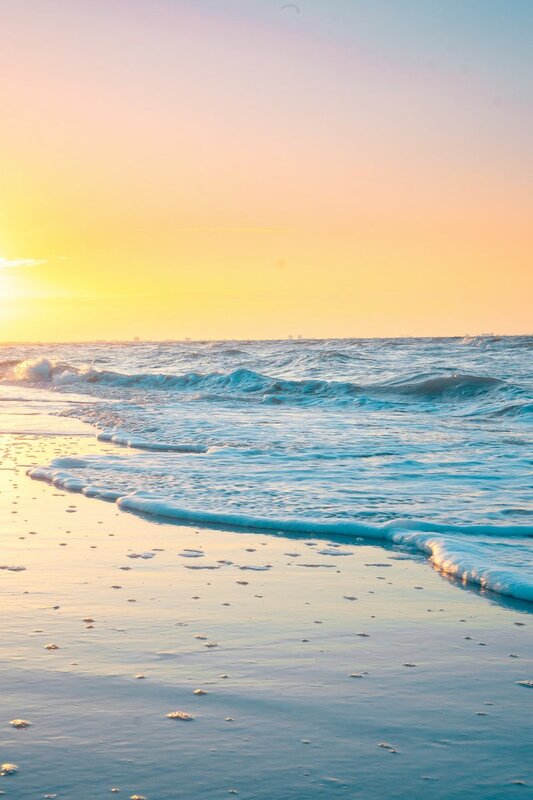 Sanibel Island is a barrier island off Fort Myers in South Florida on the Gulf of Mexico – a short drive from the Southwest Florida International Airport – but feels miles and miles away. Sanibel is just over a bridge from Fort Myers Beach – be sure to keep cash when driving to Sanibel, as there is a small toll for taking the bridge when you’re heading onto Sanibel Island. The bridge to Captiva from Sanibel does not have a toll. 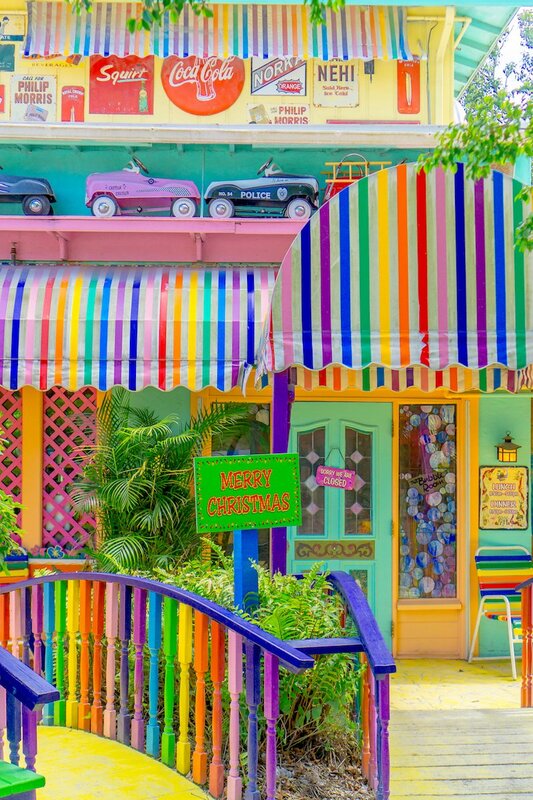 While Fort Myers is within a couple hours of both Miami and Orlando, there is no need to make the drive since the airport is so easy, laid-back, and has a ton of flight options everyday. The Southwest Florida International Airport is a great, clean, and organized mid-sized airport – it never felt crowded or hectic, and is a bright, easy to walk, and easy to navigate airport – with surprisingly good shopping outside of security (hello PGA Shop and a Dylan’s Candy Bar storefront!!). From the baggage claim, it’s a short walk to pick up your rental car right on the airport property (yay for most car rentals being in-terminal – I hate airport shuttles!) and hit the road for Sanibel to start your beach vacation. Southwest Florida International Airport is currently serviced by 12 airlines – many with direct flights from major hubs (we were so thankful to be able to have numerous direct options to Fort Myers from Denver daily, even in off-season). Southwest Florida International Airport is currently serviced by: Air Canada, American Airlines, Delta, Eurowings, Frontier, JetBlue, Silver, Southwest, Spirit, Sun Country, United, and WestJet. 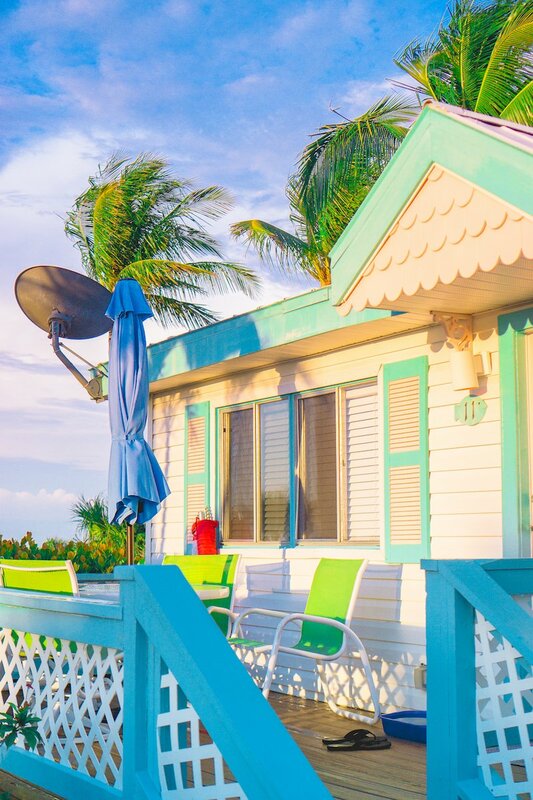 With a wide variety of high end lodging, home rentals, motels, and hotels – Sanibel has a ton of choices when it comes to where you stay. I personally wanted to be as close to the sand as possible – and got really lucky with our room at the Gulf Shore Cottages since it is so close to the water. It was actually grandfathered into Sanibel’s zoning, making it one of the closest hotels to the beach you can find on Sanibel! Whether on the bay or on the gulf, tucked into the trees, or high above it all – there is something to match your budget, family, and preferences on Sanibel. My husband and I were invited to stay at the Gulf Breeze Cottages – which was the perfect base for us to tour Sanibel! 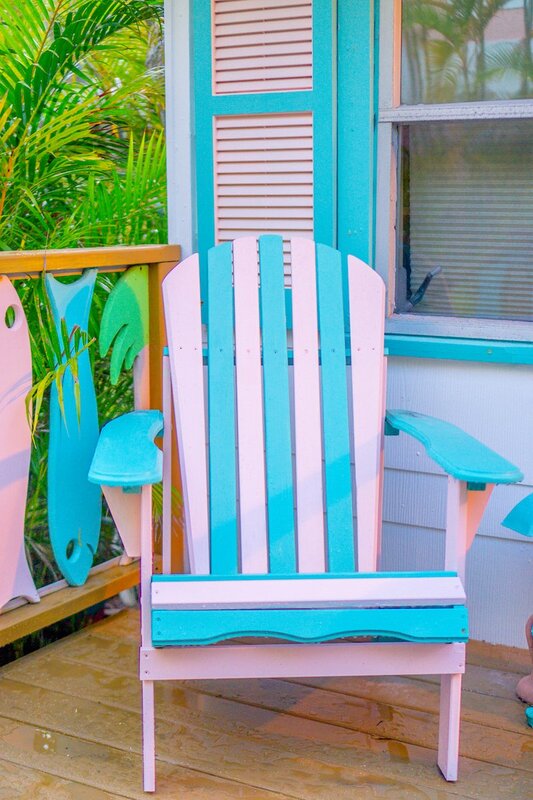 The Gulf Breeze Cottages on Sanibel are adorably retro and right on the beach – our bungalow faced right on the gulf, and we loved just hanging out on the front porch listening to the waves. Hot tip: at night, Gulf Breeze Cottages requests you turn out your lights outside and tighten up your blinds since it is SO close to turtle nesting grounds to not confuse turtles. It was so cool to be so close to turtles during nesting time! Gulf Breeze Cottages has a large picnic and grill area right by the ocean – so you can cook your own freshly caught dinner just steps from the water and your hotel room. They have fully stocked kitchens, great air conditioning, and a great setup with cable TVs in the bedrooms and the living room so it’s comfortable for the whole family. 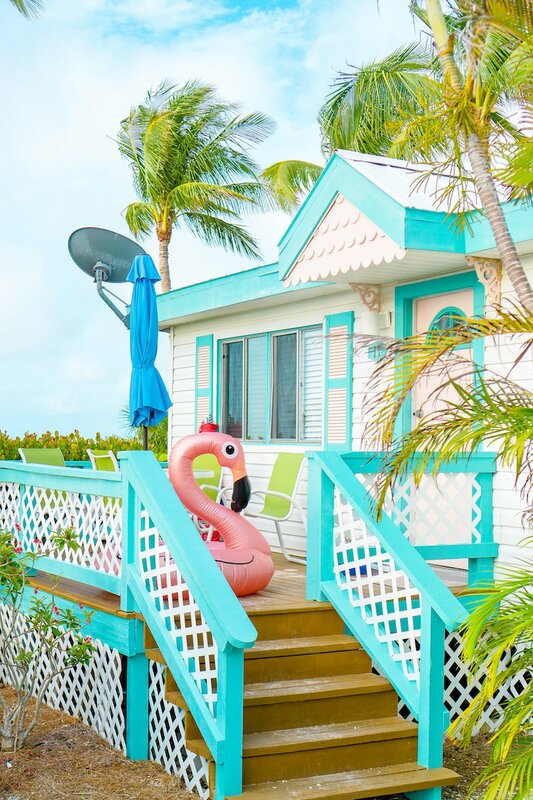 They also have a really fun outdoor shuffleboard court, wagons for kids to use, bikes that you’re free to use, beach loungers umbrellas and toys – everything you need so you don’t have to pack more for the perfect beach vacation! Chances are, once you get to Sanibel you’ll have no need for ideas of what to do – that white sand is enough of a draw to fill up an entire week. If you’re looking for fun, action-packed ideas though – Sanibel has a ton! There are numerous dolphin cruises, water sports, ocean and bayside kayaking and paddle boarding, shelling excursions, deep sea fishing and other surprisingly affordable options — the list goes on and on! 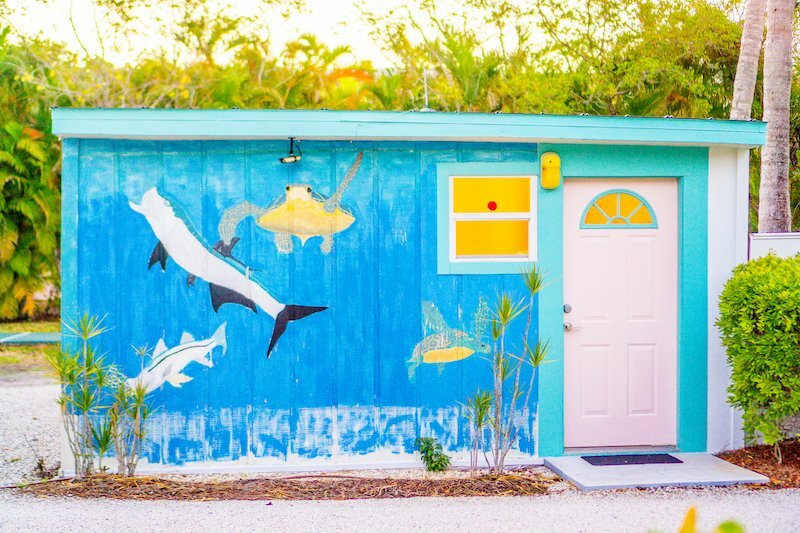 I spent much of my time in Sanibel soaking up the sun on the beach – but next time I visit I am booking a dolphin cruise, or a boat trip to go shelling or kayaking with manatees. There are also tons of historic and educational things to do on Sanibel – like touring the Sanibel Historic Museum and Village, heading to the Bailey-Matthews National Shell Museum (complete with touch tanks! ), or exploring the J.N. Ding Darling Nature Preserve. 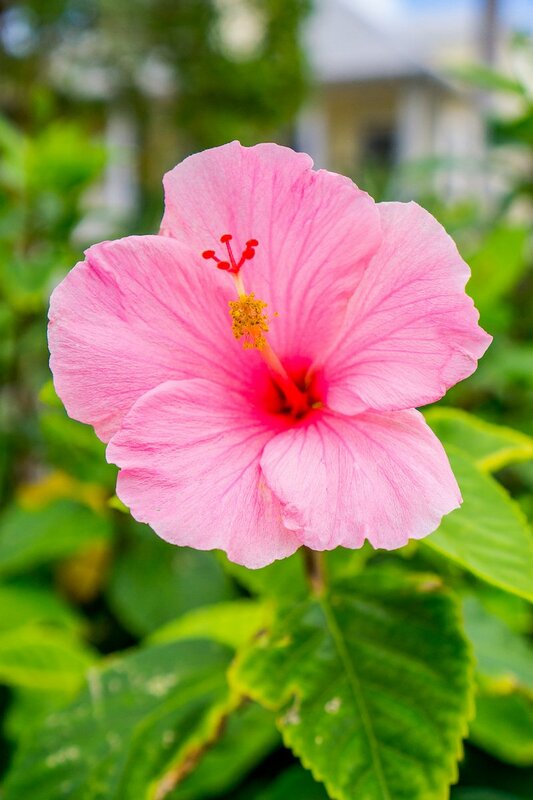 In nearby Fort Myers Beach, there is also the Edison and Ford estates – the beloved garden adorned estates of Henry Ford and Thomas Edison, where former United States President Herbert Hoover was known to love visiting. Fun fact: Theodore Roosevelt was also a huge fan of Sanibel and liked to vacation there often – the Roosevelt Channel is a tribute to his love for the island and it’s gorgeous shallow turquoise water! Hot tip: hit the beach at sunrise and sunset for jaw-droppingly beautiful scenes, no crowds, and the chance to see tons of dolphins swimming past! The morning is the perfect time to look for seashells that washed up on shore without a huge crowd, especially after a storm. Hit the beach with your shelling net early! 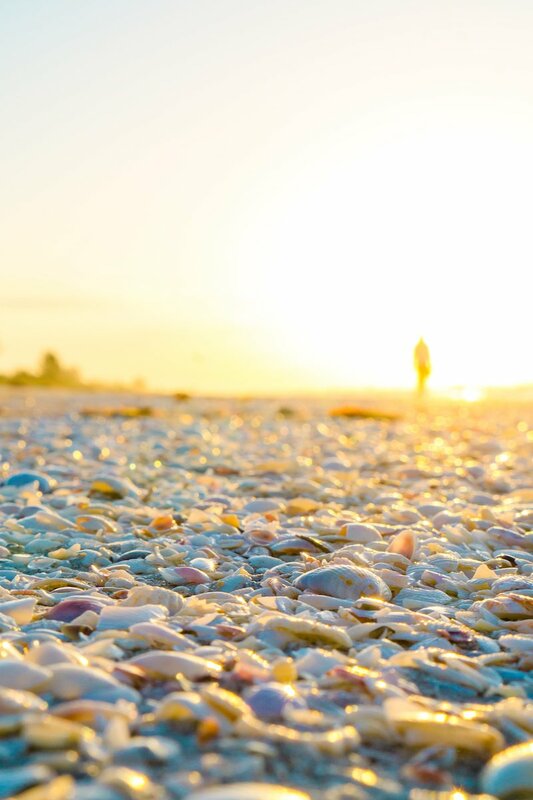 Sanibel is known as one of the top destinations to go shelling in the world – the gorgeous white sand beaches have tons and tons of shells deposited on them nightly thanks to the Gulf of Mexico’s rich marine wildlife. 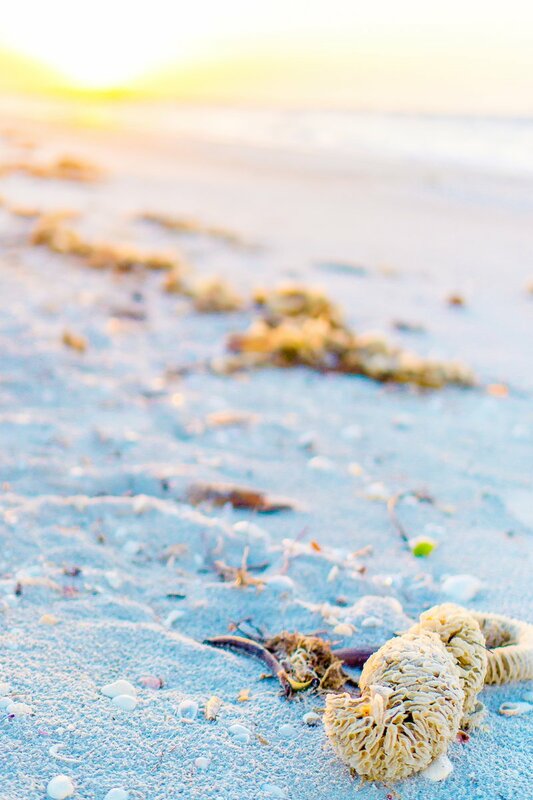 The sand of Sanibel is so soft and lovely because of the shells that have slowly rolled against the waves to make perfect sand – but you can find your own shell treasures to take home when visiting Sanibel! It is legal to remove and collect seashells on Sanibel and Captiva as long as there is no living marine life in the shell, making it a great beach to find all sorts of seashells – from conch, junoia, mollusk, whelk, and sand dollars – plus too many more to name – you’ll find an abundance of seashells (and people stooping over to scoop them up) on Sanibel. For more great information on shelling in Sanibel, visit this complete guide. Hot tip: learn to do the Sanibel Shuffle! While we didn’t see any (and were assured they are pretty harmless when you’re aware they are there), stingrays often cozy up to the shore in Sanibel and Captiva. Simply shuffling your feet in the water instead of stomping in the sea can help alert the stingray that you’re nearby, giving them a chance to swim off before you step on them! 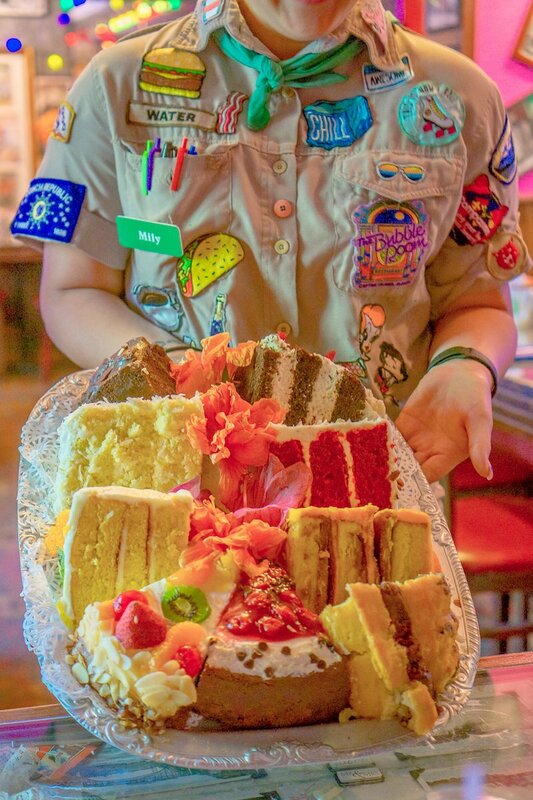 The Bubble Room on Captiva Island is an institution – it is known for its bright, fun, and over-the-top kitschy style, fun servers (each with different uniform motifs – I LOVED the Bubble Scouts uniforms! ), and AMAZING cakes. The first thing you see as you enter The Bubble Room is all of the nostalgia, knick-knacks, trinkets, and crazy fun decor – you could literally spend all day just wandering through the restaurant checking out their incredible collection of kitschy Santas, old Hollywood memorabilia, and zany decor. 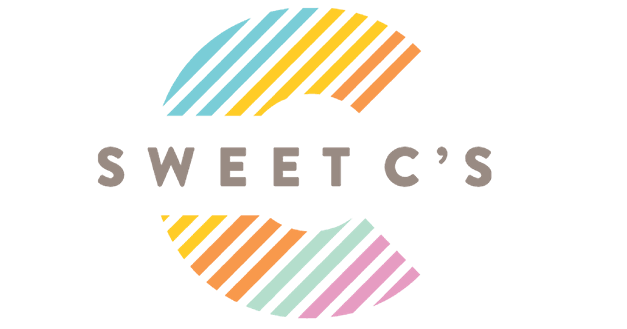 The actual building itself has a great history – it was once a family home, to a couple who loved to create delicious and amazing food and fed the community from their house – and the Captiva legend was born and has only grown more and more popular since! 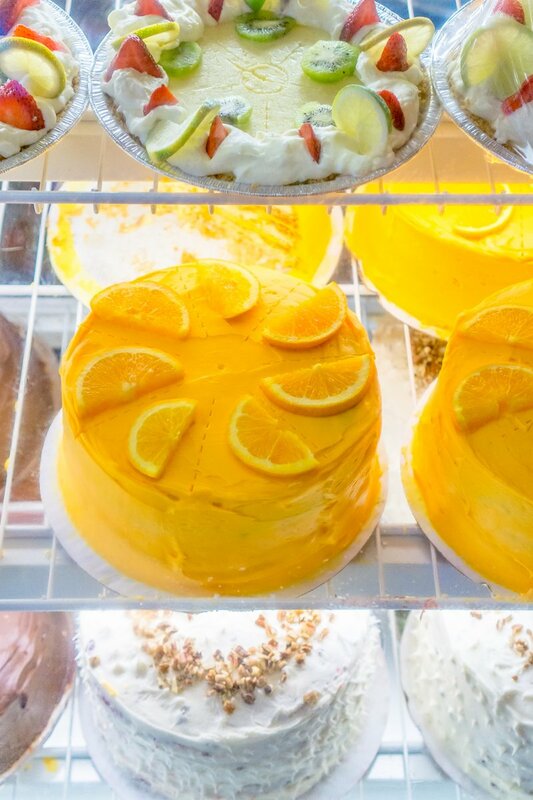 While there are tons of options at The Bubble Room for Lunch and Dinner, the real star is all of the cakes. Hot tip: Grab some friends on a rainy day and head into The Bubble Room for some Irish coffees or cocktails and work your way through the cake tray to find your favorite and spend an incredible afternoon with some of Sanibel’s best treats! The Bubble Room is open for both Lunch and Dinner – but they do close briefly in the afternoon from 3pm to 4:30pm between services, so plan accordingly. Sanibel is awesome for foodies of all kinds – whether you’re majorly into fresh seafood, or you have a big time sweet tooth. While there is so much to do on Sanibel, if you wanted to just hop from restaurant to restaurant, you’d have an action-packed itinerary in no time, full of delicious options. 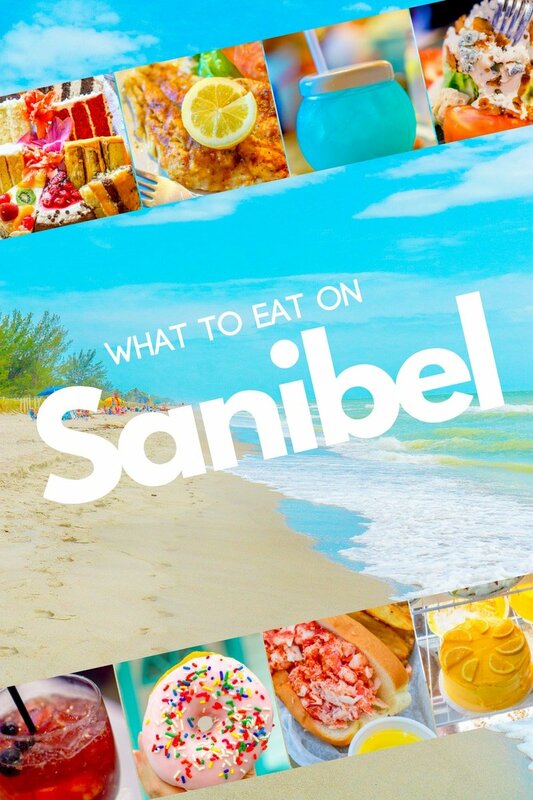 Sanibel is one of the best beach towns for a do it yourself foodie tour – it is easy to get around the island, there are a ton of affordable options, and there’s a restaurant catering to almost every diet choice. 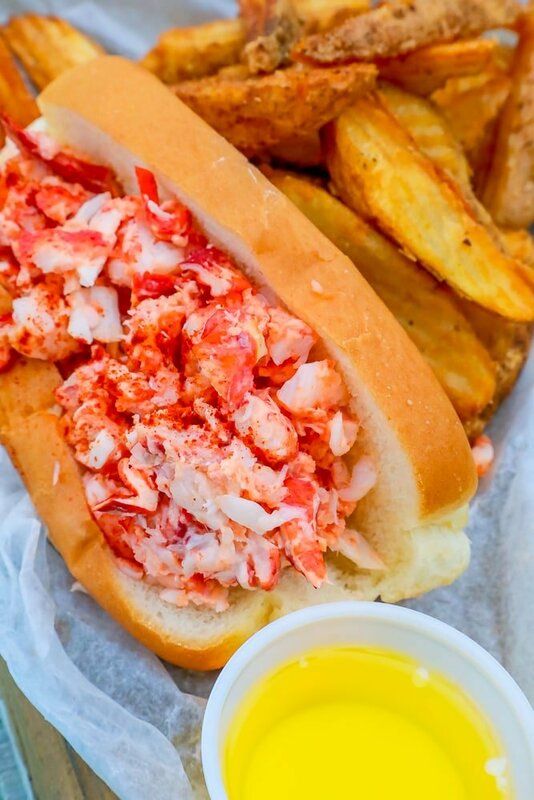 Sanibel is a great place to eat ALL the things – and perfect for foodies! 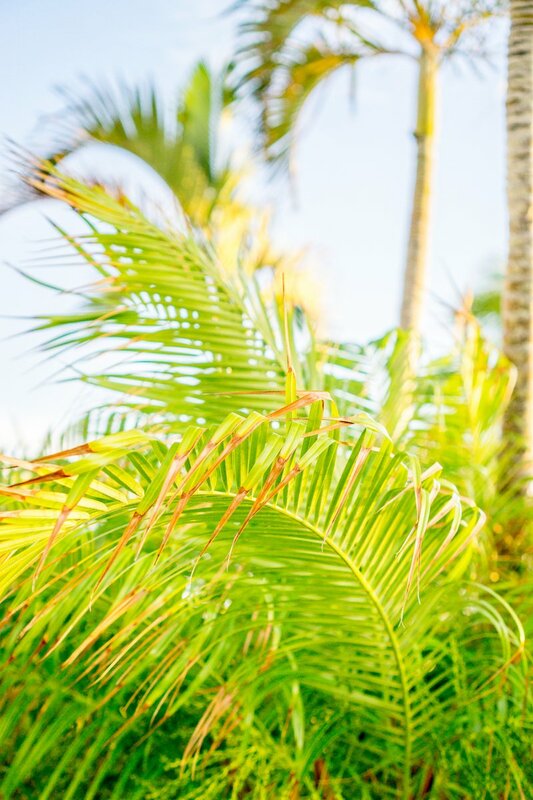 There are so many delicious and fun options all over Sanibel and Captiva – to see some of my picks, please check out my foodie guide to Sanibel post! Have you ever been to Sanibel? What is your favorite activity when you visit? Tell me in the comment below! 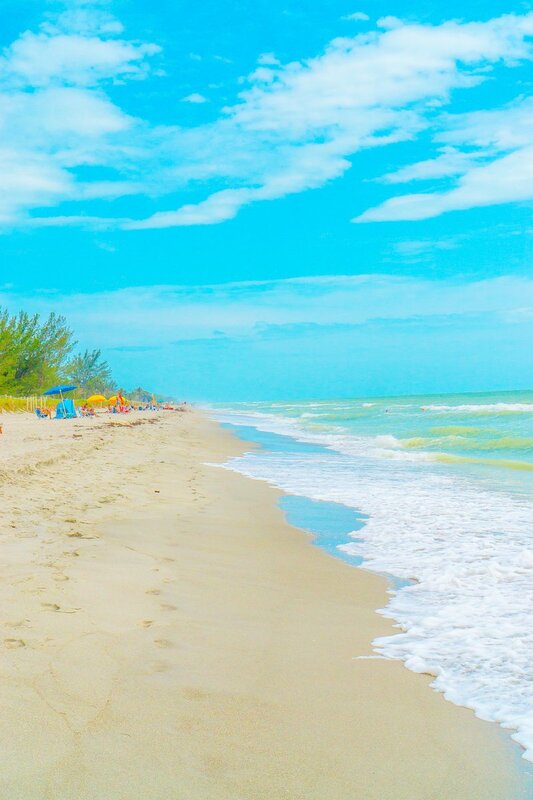 Yes I have been to Sanibel island approximately 4 times first trip was 15 years ago on our 25th anniversary and we usually stay at Blindpass condos in same condo everytime. We usually spend a week there, but we will be celebrating our 40th anniversary this year so we decided to stay 2 weeks this year and we are staying at 2 different places. My husband and I just absolutely love it there plenty of food and wonderful things to do. If you haven’t been there you really need to check it out. Thanks for sharing your story.